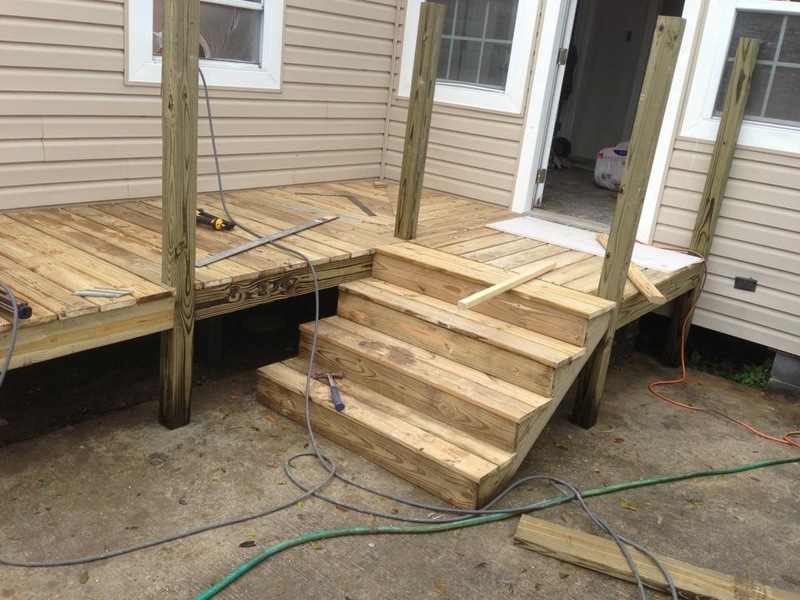 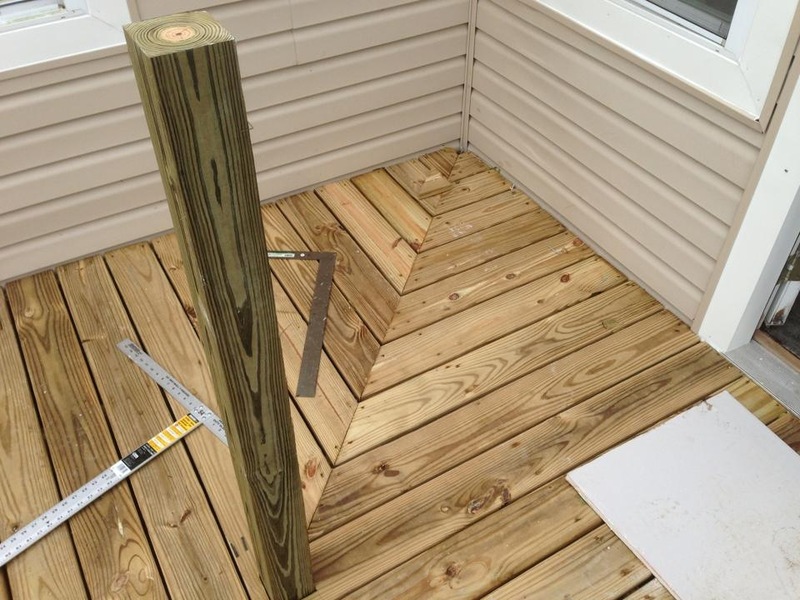 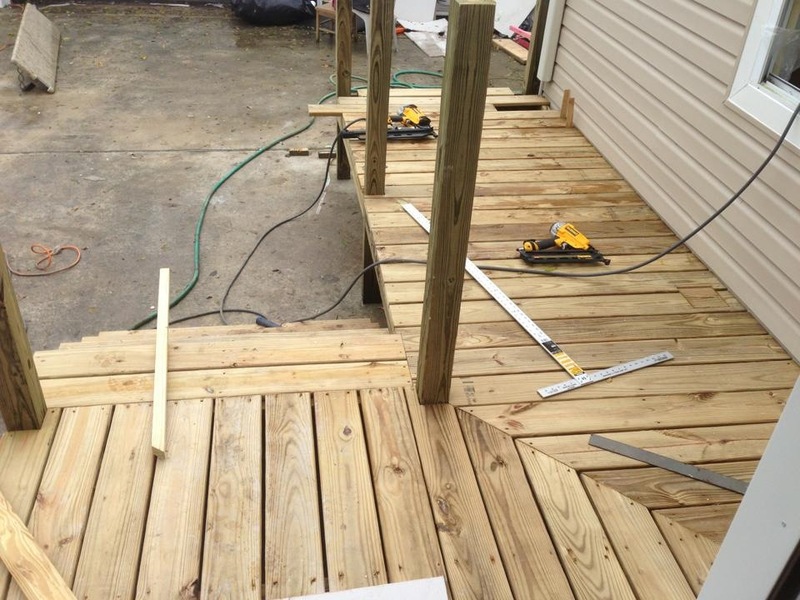 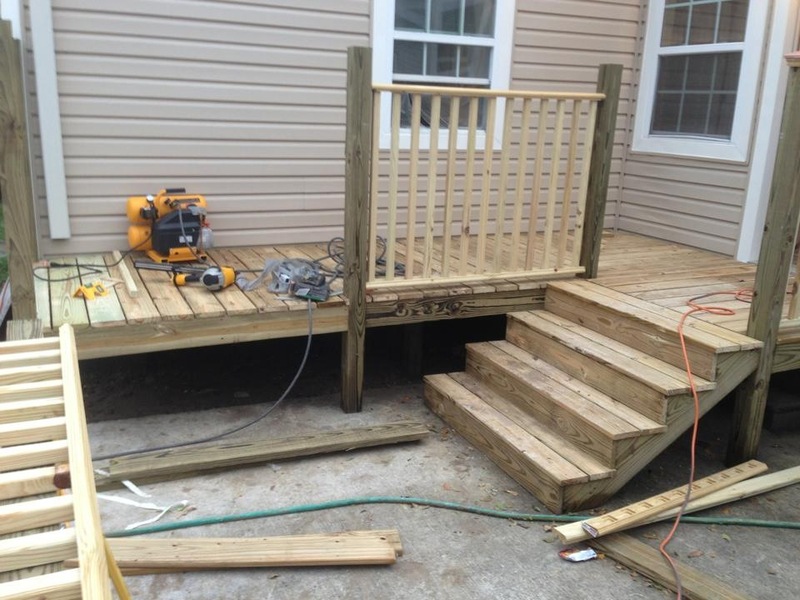 This was the first day building the deck. 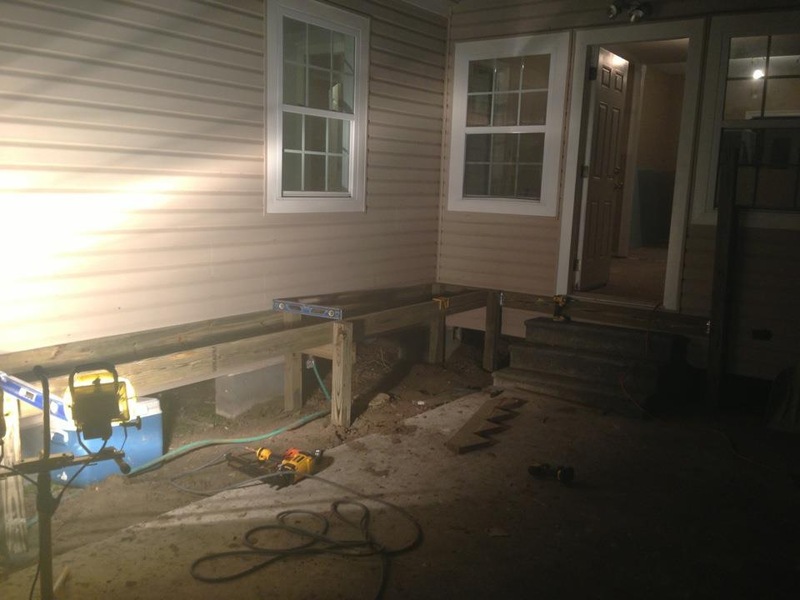 We cemented all the legs of the deck, that were going to be off the slab, in to the ground. 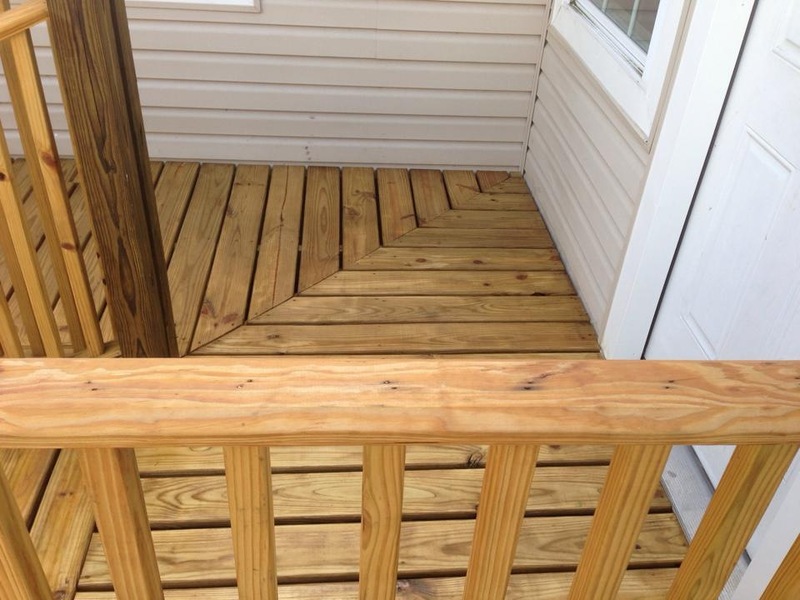 Picture to the left. 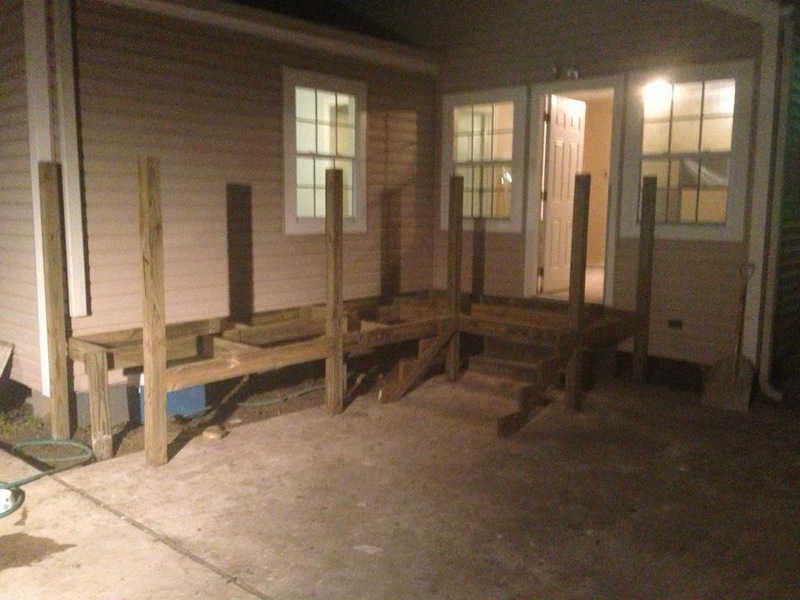 Once, these were dry and secure, we finished building the frame of the deck and call it a night. 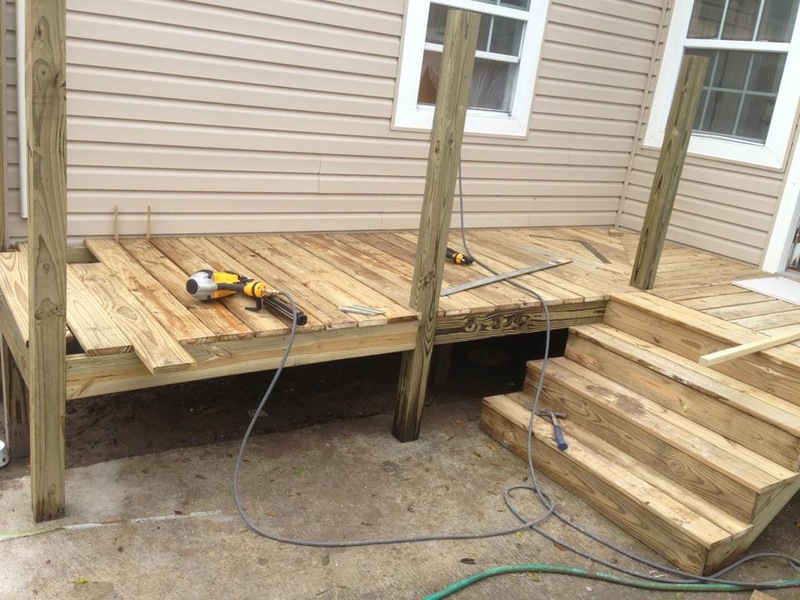 The following day we ran all the planks and handrails. 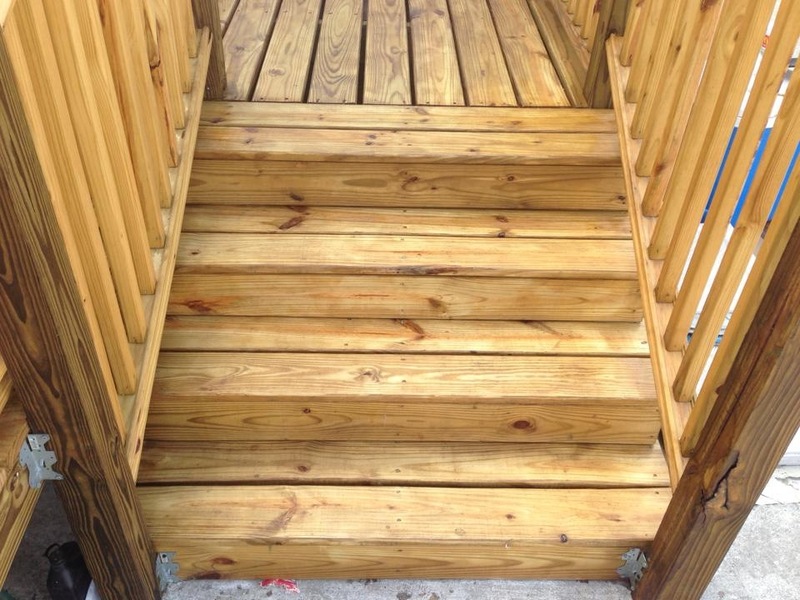 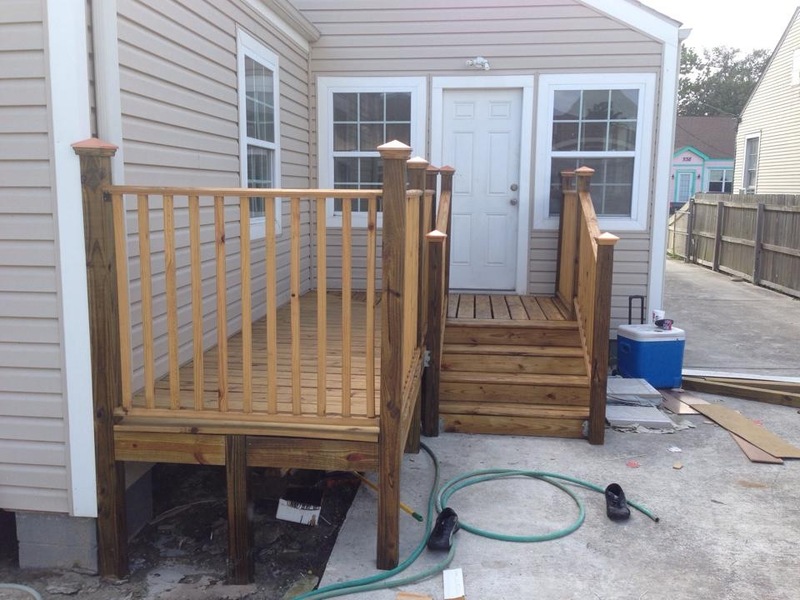 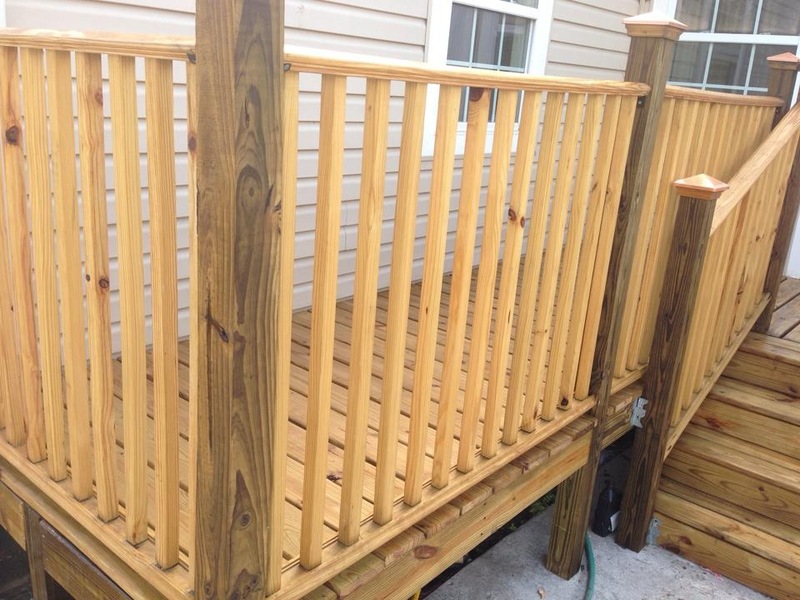 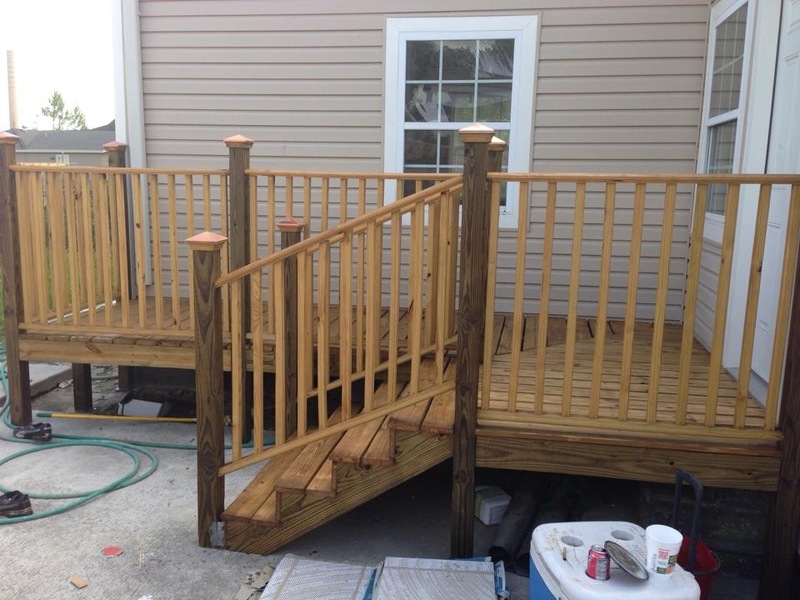 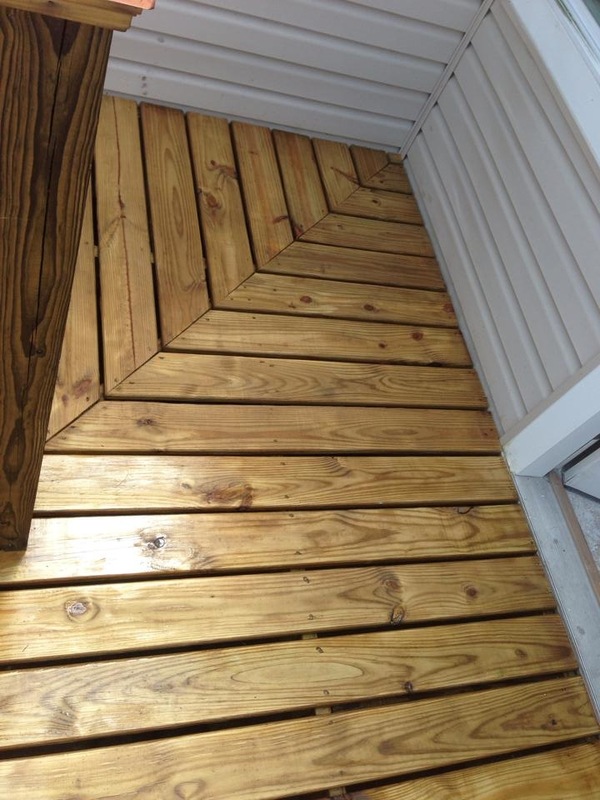 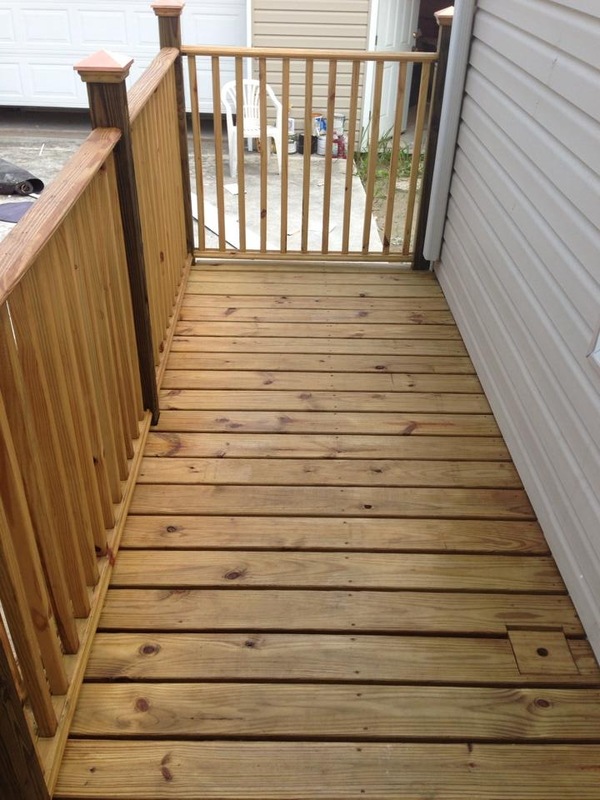 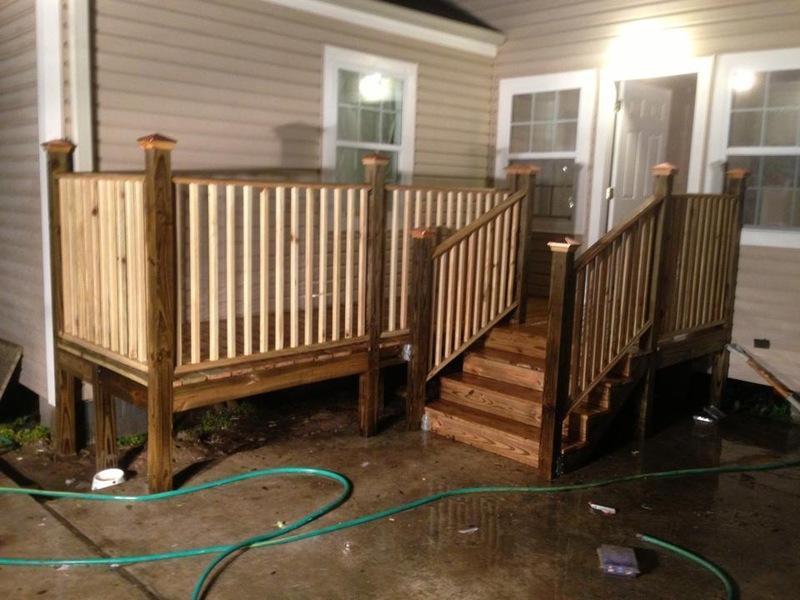 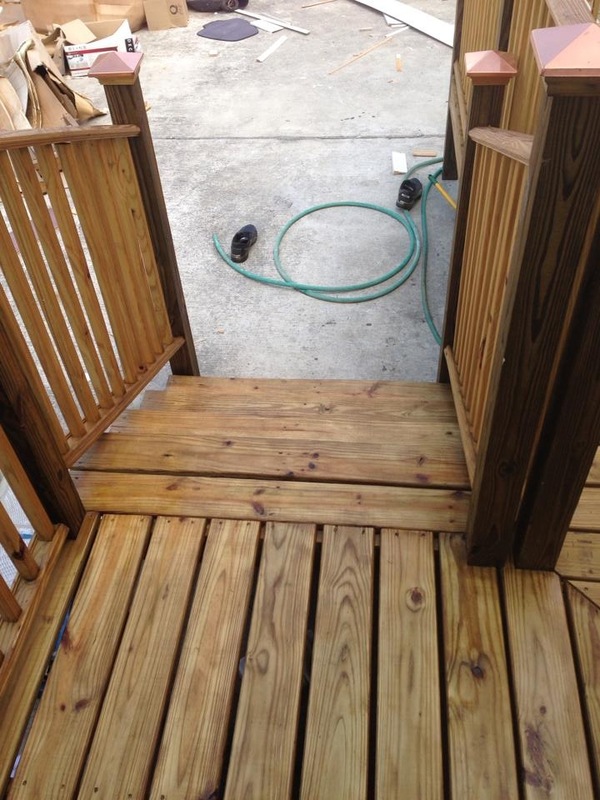 Finally, we finished the deck off buy painting it with water sealer to protect the wood.